Peg Connolly was the first president of ATRA and a founding member of the association. She was formerly the executive director of NCTRC. She has done a lot for our profession. I’m happy to say that I had won the Peg Connolly student scholarship in 2004 ATRA conference in Kansas City! That was a great experience! I had the honor to assist with training the Peg Connolly students at the 2009 ATRA conference in Minneapolis, MN. I was one of the essay reviewers for the 2016 Peg Connolly Scholarship. It was complete blind so there was no way of knowing any student applicant names or identifying college, which was really great. 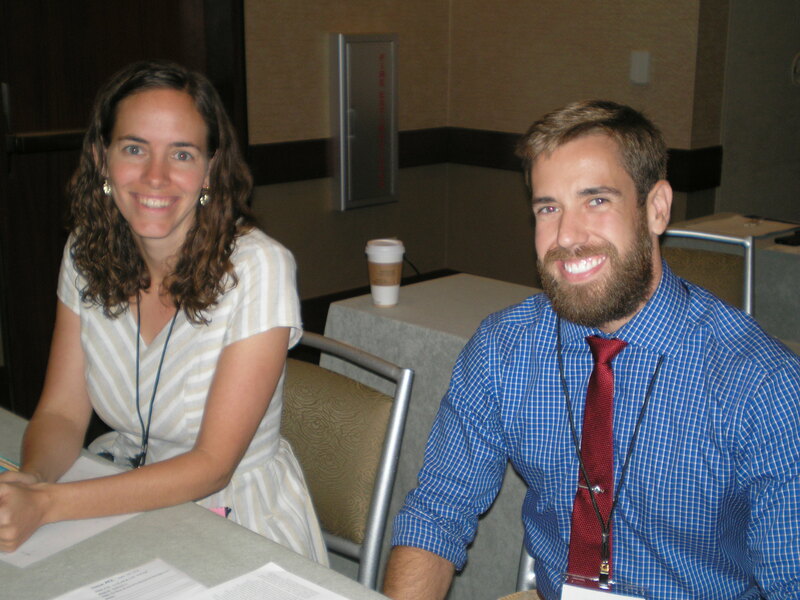 I got to meet two of the 2016 Peg Connolly student scholarship winners this a.m. at the Management in Rec Therapy Pre-conference session (seen in picture below). Deborah Tysor is a doctorate student in recreational therapy at the University of Utah. Spensir Mowery is a doctorate student in recreational therapy at Clemson University.